Actisense has officially launched the latest addition to its PRO range at Seawork International in Southampton. Reaching out to the world’s commercial marine market, Actisense in Poole has officially launched the PRO-MUX-1 at the 2018 Seawork International Exhibition commercial maritime exhibition and conference in Southampton. 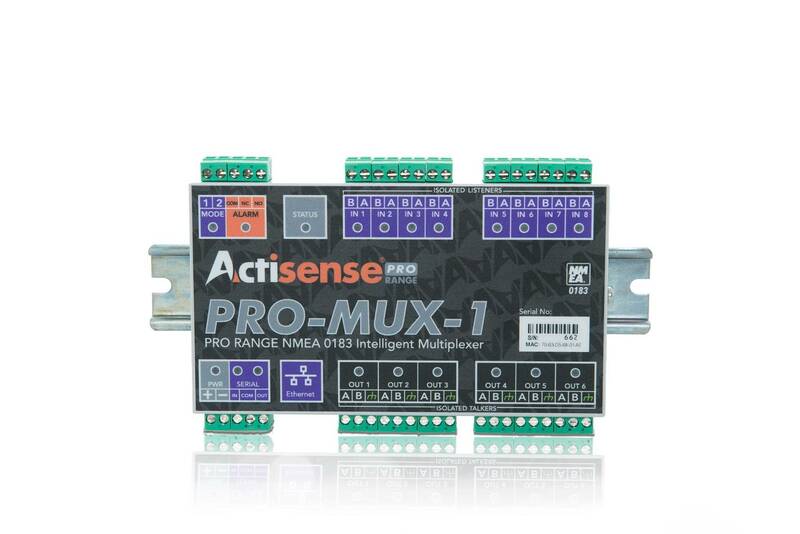 The PRO-MUX-1 is a Professional Multiplexer designed to provide isolation on all inputs and outputs so that connected devices safely avoid hazardous ground loops, the number one cause of product failure in NMEA 0183 networks. 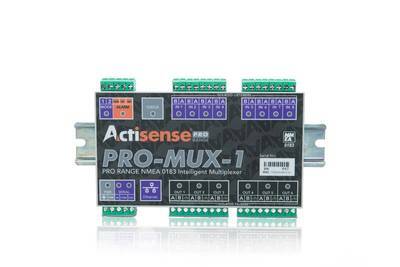 The PRO-MUX-1 has eight NMEA 0183 inputs can be routed to any of the six NMEA 0183 outputs, providing a highly customizable network. A bi-directional serial port and an Ethernet port also allow for simple configuration and diagnostics using Actisense software. Further PRO-MUX-1 features include a DIN rail mounting system for security in high vibration environments plus 2-part pluggable connectors enabling news devices to be installed into the network without unmounting the PRO-MUX-1. The device’s configuration tool is also accessible via any popular web browser and allows the user to finely tune the exact data available on each output.